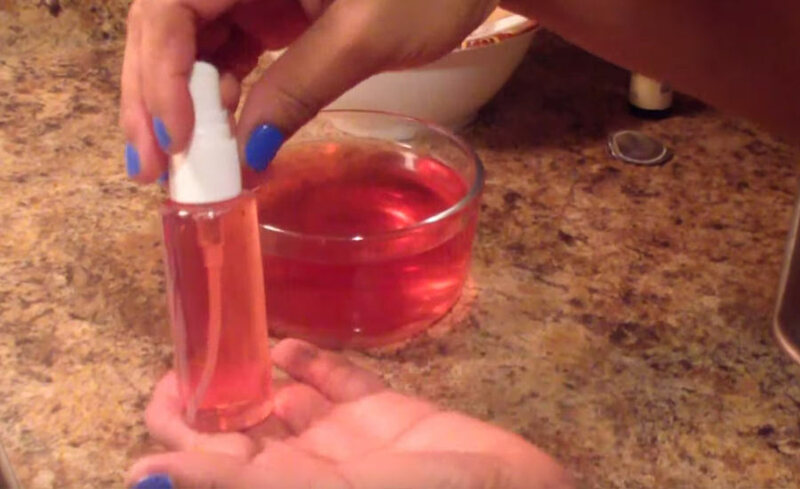 If you love a safe, all-natural but effective way to tame your frizz, here’s a very simple and easy recipe that will make your hair smooth and smell awesome with the addition of essential oils. I have curly hair and those of you who have the same texture as mine, you can relate the fervor in taming the lion’s mane. I have a love-hate relationship with my frizzy hair not until I found a hair care routine that made my curls bouncy and frizz-free. I’ve made a lot of hair care routines which I posted here on my blog, most of them are easy, frugal and 100% natural. To avoid degrading the aloe vera, you can first boil the water, steep the petals in the hot water then let it cool completely. After the mixture has completely cooled down, you can add your favorite essential oil and aloe vera juice. Same result without diluting the efficacy of aloe vera. Just increase the amount aloe vera if you want a more frizz control, or you simply use ALOE VERA (without the water). You can also add 1 tsp of jojoba, olive oil or coconut oil but this won’t spray very well, but you can fix it by using the squirt bottle of a pump.